Oxidation catalysts are designed for use with lean-burn engines (diesel engine). Oxi-Cats for diesel engines are also combined with particulate filters. The washcoat layer and precious metal loading are tailoured to your needs. They reduce the pollutant emissions of carbon monoxide (CO) and unburned hydrocarbons (HC), such as formaldehyde, which would otherwise enter the environment. Avoiding these pollutants is also good for people and the environment. Even small doses of carbon monoxide can be fatal. Nitric oxide is an enormous respiratory poison that has significant harmful effects on health. Therefore, in recent years, the number of respiratory diseases has increased, especially in children. It also acts as a greenhouse effect on the ozone layer. The unburned hydrocarbons present in gasoline in the form of benzene are highly carcinogenic. The 3-way catalytic converter is suitable for gas cleaning in gasoline engines, where carbon monoxide (CO), nitrogen oxides (NOx) and unburned hydrocarbons (HC) are converted to carbon dioxide (CO2), nitrogen (N2) and water (H2O). From this simultaneous conversion of air pollutants is the name 3-way cat has emerged. 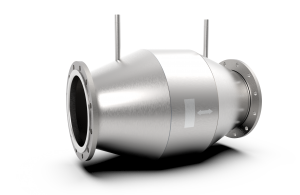 The regulated 3-way catalytic converter converts over 90% of the pollutants into harmless elements, thus significantly reducing the pollutant emissions of the internal combustion engine. The 3-way Cats work best if you want to clean the exhaust from lambda λ = 1 engines. Lambda λ = 1 denotes the mixing ratio of fuel to air. Biogas catalysts are used as exhaust after treatment in CHPs of biogas plants. 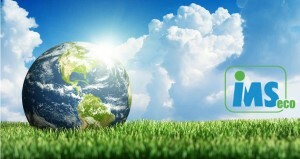 Compliance with the formaldehyde limit values is promoted by the emission reduction bonus (biogas bonus). The many years of experience IMSeco have in air pollution control (TA-Luft), characterized by the suitable catalyst matrix, sulfur-resistant catalyst foils, special (platinum) coatings for biogas engines from our development lead to high conversion rates with a long service life. With our slide-in housings, which allows a catalyst change within a few minutes, they can give the catalyst the care it deserves, so that it can last numerous years. Our industrial catalysts reduce to residual emissions of 30, 20 or even 10 mg / Nm3 CH20, built into the double insert housing, which is welded in or flanged, or installed as calamped catalyst in the header of exhaust gas heat exchangers. For more than 15 years this has been proven by the 1000-fold operation in practice. IMSeco designs and manufactures many different housing variations for all catalysts, regardless of fuel type or fuel source. Good design convinces through form and function. Usually cramped space conditions are the reason for the optimization, to enable the installation of catalysts for ease of assembly and service. 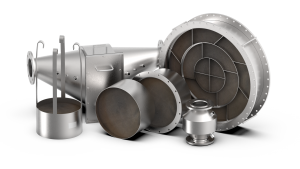 As the market leader in catalyst housings, we have the optimum solution for every application. With the help of flow stimulation existing systems can also be improved. 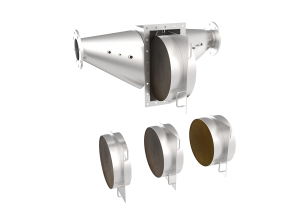 Various particulate filters reduce pollutants, such as nitrogen oxides (NOx), carbon monoxide (CO), hydrocarbons (HC).